Homeopathy, or homeopathic medicine, is a holistic system of treatment that originated in the late eighteenth century. The system is based on the idea that substances that produce symptoms of sickness in healthy people will have a curative effect when given in very dilute quantities to sick people who exhibit those same symptoms. This system of medicine uses highly diluted doses from the plant, mineral and animal kingdoms to stimulate natural defences in the body. Homeopathic remedies are believed to stimulate the body’s own healing processes. The purpose of homoeopathy is the restoration of the body to homeostasis, or healthy balance, which is its natural state. The symptoms of a disease are regarded as the body’s own defensive attempt to correct its imbalance, rather than as enemies to be defeated. Because a homeopath regards symptoms as positive evidence of the body’s inner intelligence, he or she will prescribe a remedy designed to stimulate this internal curative process, rather than suppress the symptoms. The curative process extends beyond the relief of immediate symptoms of illness. Healing may come in many stages, as our practitioner, John Burchell, treats layers of symptoms that maybe remnants of traumas or chronic disease in the patient’s past. 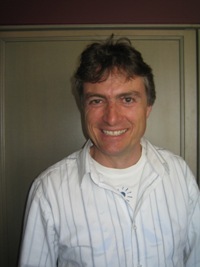 John Burchell is a highly regarded Naturopath, Homoeopath and integrative medicine practitioner. John brings to the Medical Sanctuary 25 years extensive clinical experience. Johns experience enables him to manage and overview patients’ health from a holistic perspective, treating varying levels of disease. History and Origin of Homeopathy? The word homeopathy comes from the Greek word ‘homeos’ meaning similar, and ‘pathos’ meaning suffering. Homoeopathy was developed by the German physician Samuel Hahnemann (1755-1843) in the late 18th and early 19th centuries. It was both refined and popularised by the American physician James Tyler Kent. Homeopathy is based on the theory that each naturally occurring element, plant, and mineral compound will, when ingested or applied, result in certain symptoms. Hahnemann discovered that, by diluting these substances in a standardised manner, one could reach the true essence of that substance. Hahnemann described this process of dilution as “potentising” (German: “potenziert”) the substance. These dilute amounts could then be used to treat the very symptoms they were known to produce. Homeopathic practitioners believe that illness is specific to an individual. In other words, two people with severe headaches may not receive the same remedies. The practitioner will ask the patient questions about lifestyle, dietary habits, and personality traits, as well as specific questions about the nature of the headache and when it occurs. This information gathering is called profiling. In 1993, The New England Journal of Medicine reported that 2.5 million Americans used homeopathic remedies and 800,000 patients visited homeopaths in 1990, and it has continued to grow. There is a greater awareness of homeopathy in Europe than in the United States. French pharmacies are required to make homeopathic remedies available along with conventional medications. Homeopathic hospitals and clinics are part of the national health system in Britain, parts of the EU and India. It is also practiced widely in Australia, India and Israel, among other countries. Homeopathic treatment has been shown to be effective in treating many conditions. Colds and flu may be effectively treated. Influenza sufferers in a double-blind study found that they were twice as likely to recover in 48 hours when they took homeopathic remedies. Studies have been published in British medical journals confirming the efficacy of homeopathic treatment for rheumatoid arthritis. Homeopathic remedies are considered effective in treating infections, circulatory problems, respiratory problems, heart disease, depression and nervous disorders, migraine headaches, allergies, arthritis, and diabetes. Homeopathy is a treatment to explore for acute and chronic illnesses. It can be used to assist the healing process after surgery or chemotherapy. A visit to a homeopath can be a different experience than a visit to a regular physician. Surveys have shown that homeopathic doctors spend much more time during initial consultations than conventional doctors spend. A homeopath will take a detailed and complete medical history to get a detailed picture of a person’s general health and lifestyle, as well as particular symptoms, on the physical, mental and emotional levels. Some symptoms can be so subtle that the patient is not always completely aware of them, and the doctor must spend time getting to know the patient. The initial visit often includes a questionnaire about a patient’s medical and family history, and then an interview with the practitioner, who prompts the patient with many questions. Sometimes a homeopath will use lab tests to establish a patient’s general level of health. The initial interview usually lasts between one to one and a half hours. Homeopathic medicine is significantly cheaper than pharmaceuticals, and most remedies cost approximately $20. In general, homeopathy is much more economical than conventional medicine.